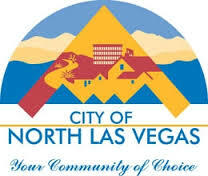 Looking for a home in North Las Vegas, NV?This is a great area with community parks, master planned community Aliante, local casinos including the Cannery Casino & Hotel, Texas Station & Aliante Casino.Located near Nellis Air Force Base and just north of Las Vegas this is a fabulous location to live and play. Let the McKenna Team help you find the right home for you in this great city call (702) 434 - HOME (4663). Updated: 25th April, 2019 11:47 PM.